Sony isn’t finished with the PS2 yet. The company has released a TV that features a built-in PS2 console. 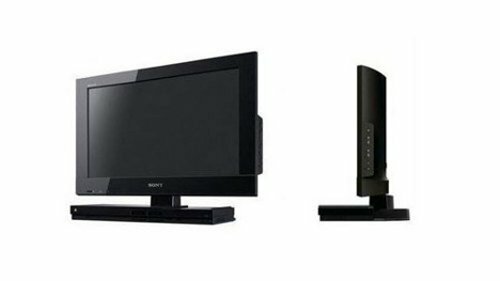 The Sony BRAVIA KDL-22PX300 offers a 22-inch display and a disc slot at the base for PS2 games and DVDs. The games will only run in standard definition, but the TV itself is capable of supporting 720p and offers four HDMI ports, three USB sockets, a SCART socket, PC input and support for component cable. There’s also built-in Freeview and two Ethernet ports for online access to sites like YouTube. It’s available now for GBP200 (or $312). Your current game controller is probably a little boring. 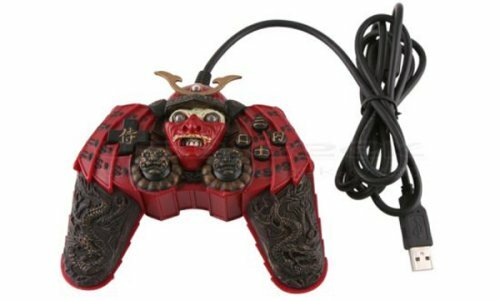 Why not spice things up with this Warrior USB Joypad? Channel your inner warrior and use his power to conquer your foes, while trying to forget how uncomfortable this thing is. The warriors eyes light up and it will vibrate with compatible games. 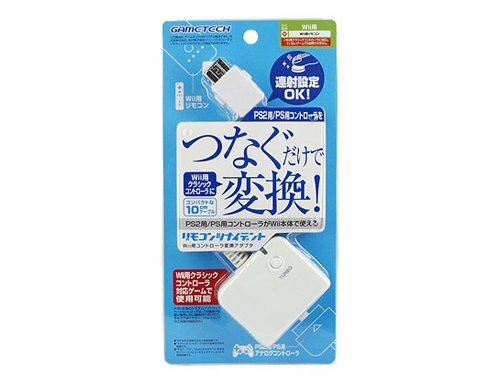 It’s compatible with USB, PlayStation PS3 and PS2. To me, this thing looks like a bat with a Samurai head. I think they may have created a new superhero. Are we there yet? No. Are we there yet? Soon. Are we there yet? Shut up and play your PS2 already. 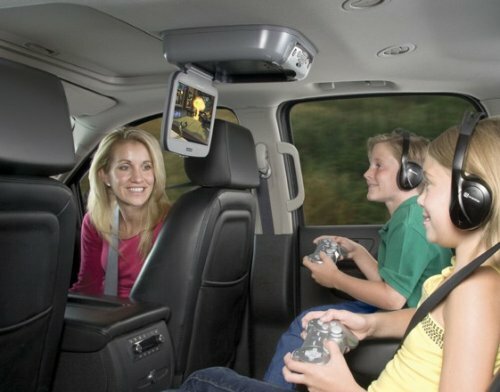 The VOD10PS2 is said to be the first fully integrated gaming system for the car. 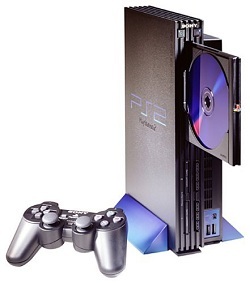 The overhead system not only features a 10.2-inch display, but it also boasts a PlayStation 2 console. Here’s the thing. It costs $949.99, which is way expensive just to keep your rug rats busy. 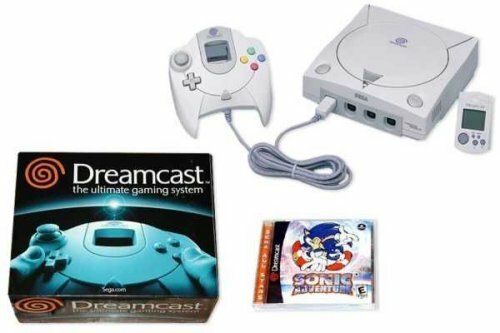 But for that price you get the box itself, a screen, a PS2, two wireless controllers, built-in dome light, a pair of fold-flat IR wireless headphones and a copy of Ratchet & Clank: Going Commando and Hot Shots Golf 3. 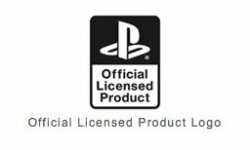 Sony has a fancy new seal that they want to start slapping on new products. Specifically onto approved third-party peripherals for their game consoles. It could mean that we can expect better accessories or it may be a bunch of BS that does nothing but add a seal to products. Before we can even guess what to expect, we have to wait and see who opts into the plan, and what nature of product they can get away with making. Hopefully it means better quality all around. I’ve always thought that turning the Wiimote sideways looked a little strange, but it’s been the only alternative to using one of Nintendo’s old controllers. Well, not anymore. Now you can use your old PS/PS2 controllers thanks to this DualShock to Wii adapter which costs $18.50. No one will think it’s weird at all, watching you play the Wii with a Sony controller. Maybe you don’t like the GameCube controller, or the Club Nintendo SNES controller. We aren’t judging you. We just want you to be happy. Political statement or just a literary mod? You decide. Most gamers are well aware former attorney Jack Thompson’s stance on gaming. It’s nice to see that his book embraces gaming at long last, with a little help from Mattigus, a user on the Halflife2.Net forums who is simply brilliant. Don’t worry. He bought the book used on eBay, so no 13-cent royalty for Mr. Thompson. It was also a library book, which not surprisingly, was never even checked out. It is an actual functioning mod. There’s not much to go on here. Just some guy’s word, but there’s talk that the permanent retail price of the PlayStation 2 console will soon fall below $100. It would certainly be long overdue. The console currently retails for $129.99. It was in April of 2006 when Sony adjusted the price of the PS2 last time. Will April of 2009 be the month they get it below $99.99? The images above are from a Kmart pricing system. We’ll have to wait and see what happens, but a price shift at this point would make sense. Sure, you’ve flicked your wrist again and again playing Wii Tennis. You’ve swung your arms about while playing baseball. Now, prepare to run…jOG. 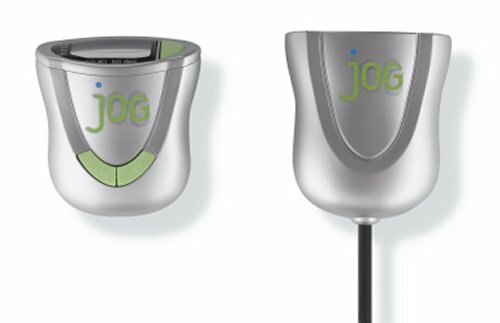 The jOG for Wii (also compatible with PS2) only allows gamers to use their joysticks if they’re physically jogging at the same time. The device works by connecting to your controller through a cable and then being attached to your pants. After that, if you want to use the controller’s joystick, you better be jogging fatty. The jOG-S21 will be available in the near future and will cost around $25. Below you’ll find a video demonstrating how the jOG works. It took place in Melbourne, Florida. 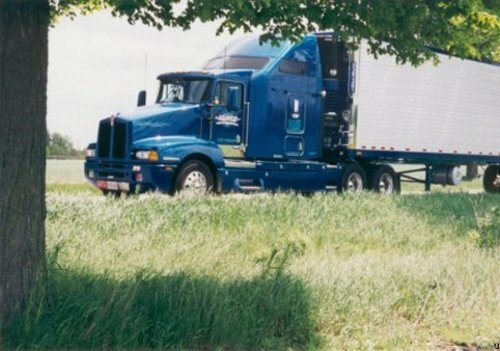 A truck carrying over 1400 PlayStation 2 systems was been stolen today. After a long trip over the weekend, the driver slept overnight on Sunday and didn’t realize the truck was gone until he woke up on Monday morning. Apparently, the thieves were smart enough to disable the truck’s GPS before leaving with the goods. The police and the trucking company apparently had no idea where it went. There’s nothing worse then a truck full of stolen game consoles. Why do they never think of the children? The poor 30+ year old children…Now what will they play? 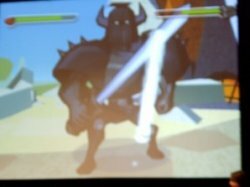 Continuing the attempt to make every future game like a Wii game Sony is working on a sword fighting game that will use 1:1 motion tracking. At least, according to a representative for Sony Computer Entertainment’s London Studios, who seemed pretty bitter about the success of the Wii. It makes perfect business sense since everyone in the world owns a PS2 and they’ve sold 10.5 million Eyetoys. And since they wish they were the Wii in their hearts. They’re using new color tracking technology to enhance the EyeToy’s motion tracking for two new EyeToy: Play games that should be ready for the holidays this year. One of them is a sword fighting game that comes with a fluorescent toy sword of some sort. Activision and Logitech have announced a partnership where Logitech will create “premium” instrument controllers for Guitar Hero: World Tour. The press release isn’t very clear, but we take that to mean that Logitech will be making nicer, more beautiful and more expensive versions of the stock Guitar Hero guitars for the PS2, PS3, Xbox 360 and the Wii. . The new gear will be fully compatible with World Tour. This is probably good news for fans of GH since Logitech makes quality stuff. Soon you’ll be rocking a far better ax then you rock now. Music games are huge right now and the popularity of the games has music labels and bands rushing to get their tracks into games like Rock Band and Guitar Hero. Another big market for music games is for aftermarket controllers to replace the generally junky ones that ship with titles like Rock Band. Perhaps the coolest guitar controller ever for the PS2 and PS3 consoles has been announced by Peak Products. 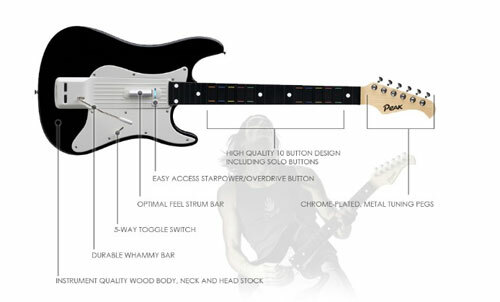 The controller is called the Starpex and it offers complete functionality in both Guitar Hero and Rock Band. The Starpex is made from real wood by a leading maker of real guitars and has lots of optimization for serious gaming.